This is the latest MK3 model featuring velcro Hook on both sides. This insert is ONLY compatible with the Micro Fight MK3 Chassis. It is not compatible with the MK2 or MK1 Chassis. It may or may not be effective in the kangaroo pouch of an armor carrier, depending on tightness of fit. The Magazine Insert is a custom solution to a common problem. Instead of using pull tabs or a hard kydex insert, we decided to go with a more innovative solution. 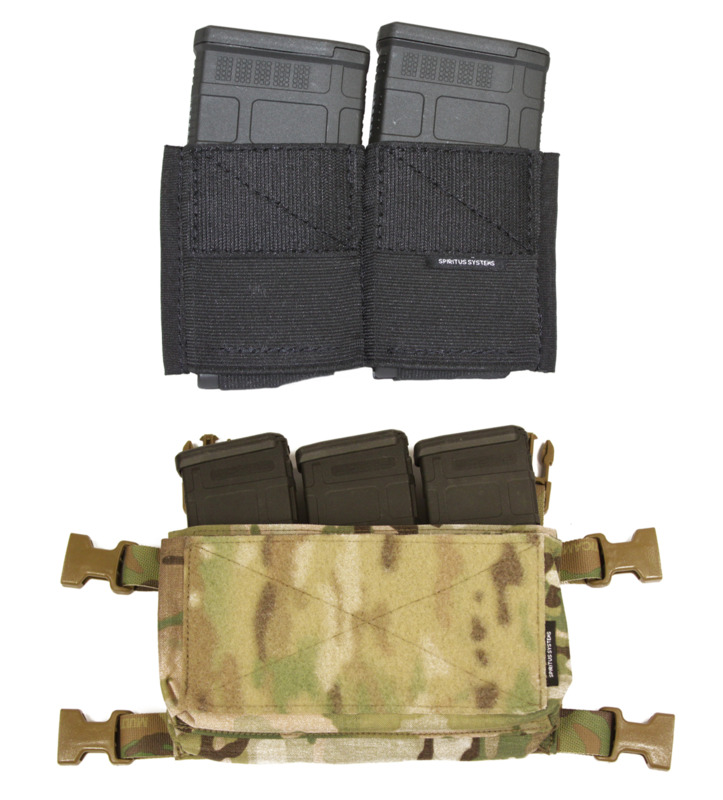 Made from mil-spec elastic and webbing, this insert allows for open-top quick access to magazine and eliminates the need for pull tabs. 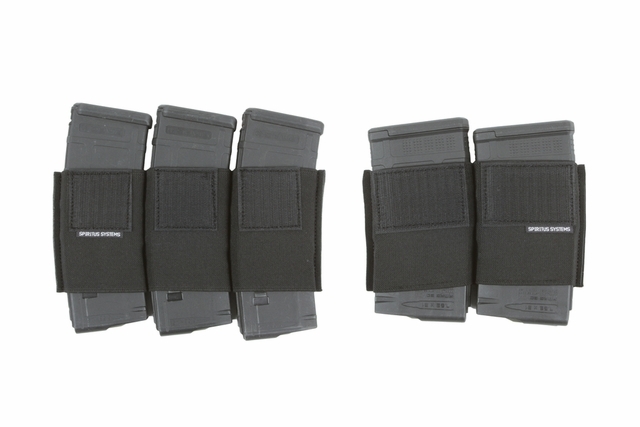 The insert also provides secure retention for metal or polymer magazines, and gives you the ability to re-insert mags one-handed. Using elastic has the added benefit of making it very quiet when removing or adding magazines, and sitting flat when not in use. When mags are not inserted, the insert can fold flat for a slim profile and easy packing. 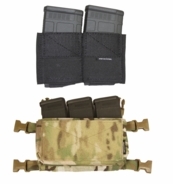 This is a critical piece of the Micro Fight Chest Rig System, and can also be used as an upgrade in other products that use velcro to secure their magazine retention system, such as plate carriers featuring velcro kangaroo pockets. Made in in the USA.